GLEN JOHNSON IN CTR360 II SWITCH? GLEN JOHNSON IN CTR SWITCH? One of the great unexpected occurrences of this year’s Premiership season happened at Bloomfield Road this past Wednesday night as Blackpool hosted a Liverpool squad boosted by the interim appointment of Kenny Daglish. The score? No, we don’t care about that! 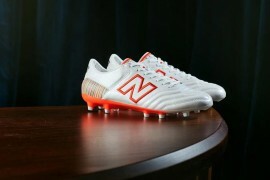 We were too busy scratching our collective noggins at Glen Johnson’s choice of football boots! 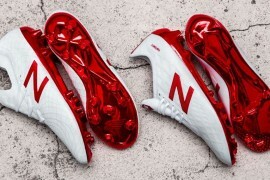 England international Glen Johnson was asked to change position by King Ken to left-back for the evening kick-off by the seaside, and apparently Johnson also took it as a queue to change cleats too as he opted for the new Nike CTR360 II in Challenge Red/White/Black. Having signed as a key athlete for Lotto in 2008, this is certainly a surprise move for the ex-Chelsea defender. 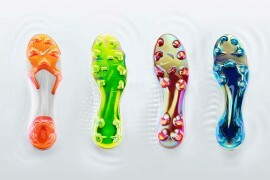 However, Johnson has always been picky about his football boots – sticking with his Lotto Zhero Legganda cleats rather than upgrading to the newer FuerzaPura. This change marks the third brand that Johnson has played in over the last 3 years, playing in adidas Predator PowerSwerves before his sponsorship with Lotto commenced. Now he’s playing in the Nike CTR360 II questions are sure to come up over the state of Johnson’s football boots endorsement contract with the Italian brand. 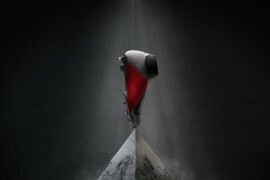 As for the CTR360 II, it seems that Nike’s latest boots is building upon it’s predecessors success very quickly – it’s bold Challenge Red visible from just about anywhere on the pitch! We’re anticipating that we might see a few more players adopting the CTR360 II as our early testing definitely indicates Nike are onto another winner – but until then, what do you reckon to Johnson’s switch? Reckon it’s permanent move for the England international? Well they are a quality boot, but Johnson hardly deserves to be in them. Nevermind Johnson’s CTR’s. What are those beauties Matthew Philips is sporting? Tiempos with the tounges cut off? 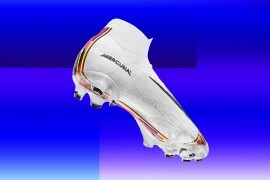 @Richard They are nike tiempo classic lites. Been around for a while.